Finding it tougher to park your car these days? Don’t worry ­ you’re not losing your touch. Cars really are getting bigger, while some bay operators are putting the squeeze on spaces. As the Daily Mail reported, a survey by Halfords and paint­renovation experts G3 Pro discovered that today’s BMW 3 series is more than 20cm wider than the original 1975 model. A 1974 Volkswagen Golf was 1.6m wide, while newer models are 1.8m ­ making the modern Golf a good bit fatter when it comes to swinging it into a tight spot. As well as the old familiar models creeping up in size, there’s been a huge surge in big 4x4s and SUVs ­ and they’re all trying to cram themselves into our shrinking car parks. So car parks haven’t always grown alongside the vehicles they’re intended to house. But there are national variations, with some countries being more generous than others when it comes to having enough room to keep your wing mirrors in one piece. 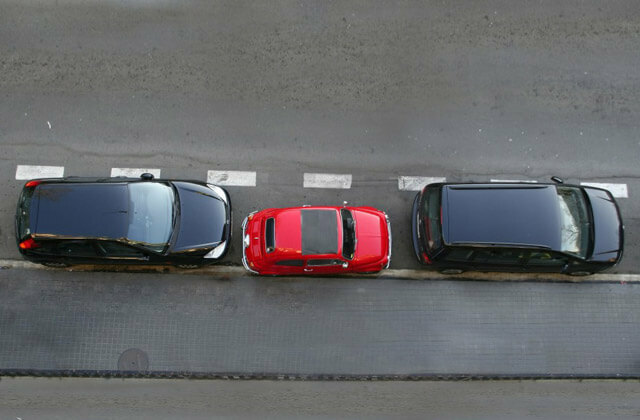 The French standard bay is 2.2m to 2.3m, while the UK once recommended on­road parking bays were at least 1.8m wide, although regulations have now relaxed slightly. As that’s pretty much the same width as a modern day Golf, it’s going to be a tight squeeze. If the newspapers are to be believed, you’re going to need even more spatial awareness in future. The local council at Milton Keynes, in Buckinghamshire, hit the headlines last year after announcing it was to carve an extra 235 parking spaces out of an original 5,000 bays at a shopping centre. The cost of slimming down the bays? £1,277 per space. Meanwhile in Newbury, West Berkshire, 142 motorists received fines for not being properly tucked into their spaces. Retired architect Stan Green wasn’t going to take this lying down though ­ he toured the town, measured the spaces and discovered that as many as 90% were smaller than recommended. 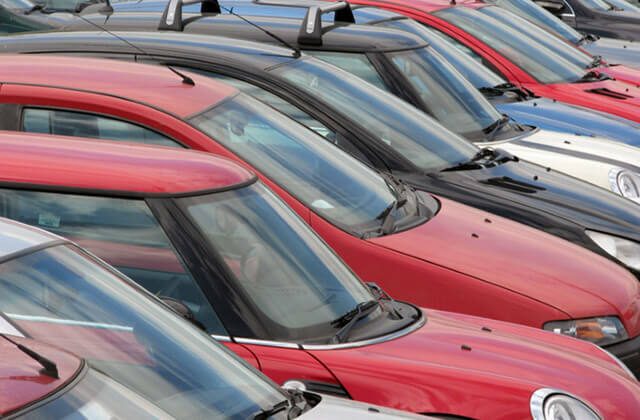 A more scientific approach came from EuroTest, a partnership of 18 automobile clubs across Europe, which carried out recent study of multi­storeys and ended up pointing the finger at Spain for having the tightest spaces. As Spanish journal The Local reported, Barcelona regulations insist that parking places should be a mere 2.2m wide. 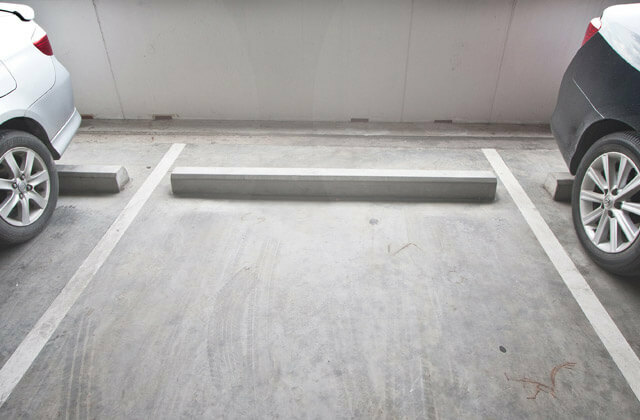 The report claimed that bays are typically 2030cm wider elsewhere in Europe. EuroTest’s conclusion was that all parking bays should be at least 2.5m wide to fit modern vehicles ­ but such an expansion would put a big squeeze on operators’ profits. In the US, unsurprisingly, spaces are typically much bigger. A report by Reidsteel claims spaces in Dallas, Texas ­ yes, everything is that much bigger there ­ are typically a whopping 2.6m wide. Driving a big car in Europe comes with its risks. The Halfords/G3 Pro study found that more than 10 million UK car owners have suffered scuffs thanks to car park incidents ­ and that translates to £500 million a year in paintwork repairs. Car doors are the most likely to suffer a scrape ­ they account for half of all damage. Running behind them, unsurprisingly, are bumpers (at 14%) and wing mirrors (13%). But why are cars getting bigger? Well, much of it is our own fault. Our better (and sometimes less healthy) diet means we’re getting taller and fatter. Those tiny cars of the 1960s and 1970s are just too cramped for us these days and we’re generally more demanding of comfort. There’s also a slew of EU safety standards to contend with. Modern rules mean the bonnet and panels have had to be changed to create a crumple­zone, while demands for stronger superstructures mean the cars are generally more hefty. But at the same time, there’s another car story playing out. While many consumers are opting for bigger and bigger, there’s a parallel move towards the compact car. That's prompted many car lots to designate ‘compact’ spaces, allowing more cars to be parked and incentivising city commuters to switch to smaller, less gas­guzzling models.